I am a social worker and clinical hypnotherapist with over 38 years experience working with individuals, couples, families and groups. Through the years I have refined my work by studying with four great teachers who brought new perspectives and new energy to the old world of psychoanalysis and psychotherapy. All of these masters were originals and I have incorporated their work into my own way of communicating with people. I hope that if and when you work with me you benefit by my integration of the healing and empowering ideas of these pioneers. I think I am one of the few clinicians who has worked so closely with these four. My experience as a student with Milton Erickson, M.D., a psychiatrist said to be the greatest medical hypnotist in the world, was powerful because he was so comfortable with his own unconscious. So I felt safe enough to be comfortable with my inner experiences. I was free to think and feel whatever I needed to and he was right there with me. I am committed to creating that deep level of safety with whomever I work. 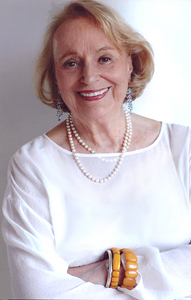 Virginia Satir’s work with family systems is described by the anthropologist and consultant to the U.N., Jean Houston, PhD, as the most powerful model of family therapy there is. Each of us carries within us our own family unconscious whether or not we are aware of how it affects our lives. Moshe Feldenkrais’ revolutionary work with body-mind organization has given us hypnotic tools that create shortcuts to many-leveled changes in range of movement and feeling. He said, "The best way to learn is in pleasure" and always talked of "The aesthetic appreciation of self." Kay Thompson, DDS, used language so brilliantly that people listening to her could go into hypnosis immediately. She taught her hemophiliac dental patients to control their bleeding so well that they didn't need anti-coagulant medications during dental procedures. She said, "Feed them the words that are symbols of their experience." Why is the Bristlecone Pine Tree my Logo?